Sad news today that my best mate Mike, aka Biggun, lost a good mate today - his trusty companion Jasper. 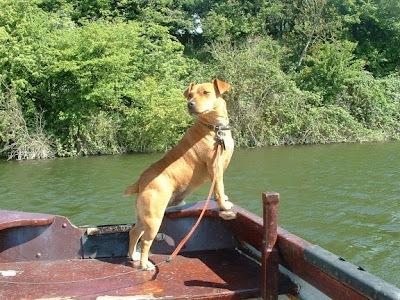 Many a time we all shared good times on the banks of the Trent, Jasper was a lively dog to say the least. Here he is "on the lookout"
Bet you chase a few rats wherever you are little fella.